Anyone who tries a sauna more than once is hooked for life! 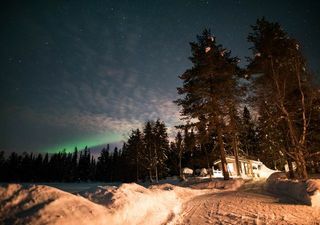 Have you ever wondered what is like to live near the Arctic Circle? 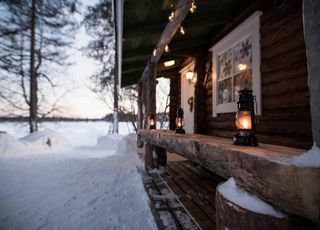 We invite you to our Finnish home where you can experience the local culture and relax in the wood-burning sauna. 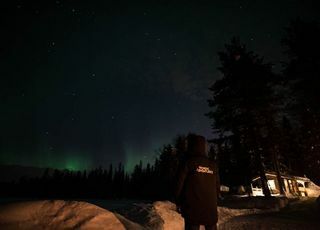 This is not a typical tour of Lapland as we are not a typical tour company. We strive to give you an authentic experience that you can't get anywhere else. As we open our home to you we invite you to discover the true colors of Finland.  Please bring a bathing suit! 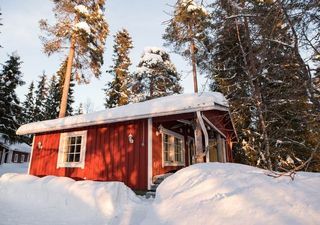 Our home is located on a private land, 22km away from the lovely town of Rovaniemi. Surrounded by picturesque landscapes and postcard-perfect scenery on the lake shore, our home is a truly unique place. The tour starts with hotel pickup. We usually drive a minivan as we specialize in small group tours only, to ensure a private experience. 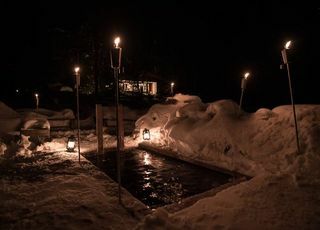 Once we arrive at the destination we will start with the authentic wood-burning sauna. When we say authentic - we really mean it! 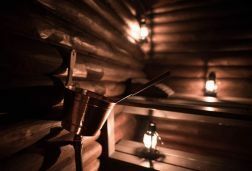 Our sauna dates back to the times when it was used as a smoke sauna. You can still smell the smoke! However, nowadays we heat up the stones in a wood fire. Once the sauna is ready it's your time to unwind. Listen to the fire crackling in the wood stove as the heat slowly rises from the stones. Sauna is the place of freedom where you can let go of the stress and immerse in the radiating power of heat. 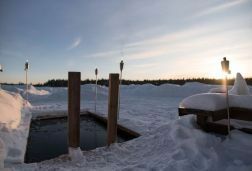 Our guide will teach you how to safely cool down, as you jump into the icy water in the private lake! Yes, we go Arctic lake swimming after a sauna session. In winter time you can also jump into the snow! Once you're cooled down, it's time to get back in the sauna. The process is repeated until you feel completely refreshed. This hot and cold sauna practice boosts your immunity and does wonders for your soul. 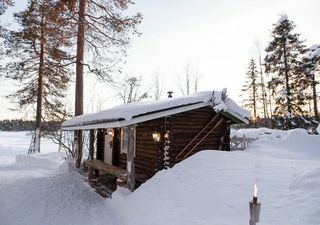 There’s a part of the sauna called the “air bath”, that great gasp after you leave the hot interior and fill your lungs with the fresh outside air. 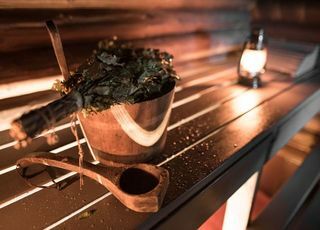 It is this refreshing after-effect with adds the final bouquet to the art of sauna. Sitting by the fire gives one a refreshing feeling at the end of the week and makes one look forward to bath after bath after batch. After the sauna and swimming in the icy water, it's time for snacks. We will gather around the fireplace and enjoy refreshing snacks before we pack up and hit the road to drop you off at your hotel.